It is not hard to edit wordpress css file. Having a blog in selfhosted wordpress (not in wordpress.com) gives you lots more ability to customize your layout, including ability to edit wordpress css file. I said it is not hard because there are lots of tutorials online and you always can learn from them. One ebook that i personally read and it helps me alot on learning wordpress template coding is rockstar wordpress ebook. You will learn fast if you love what you are doing, so first is to have a strong will. Basically all wordpress themes are made from css, php, and html files, which are distributed differently. One theme has different css style from another, this is why themes have different style and looks. What you need to edit wordpress css file. For non-techie bloggers like myself, it is very important to know a little bit css language to modify small things in our wordpress blogs. You can learn from w3 school they do have a good tutorials for these programming languages. To edit wordpress css file, you also need to practice alot. I usually test some themes in local wordpress installation, you can install wordpress locally in mac, and install wordpress locally in windows. Both tutorials above i made in earlier version of wordpress, but the process is still the same, it will be local wordpress blog for training, afterall. If you see some of my video tutorials, i also use some web developer tools that are very helpful, it sounds techie, doesn’t it? but in fact, they are quite simple tool. 1. Firebug, Firefox addon, a must have tool. Firebug is extremely useful to inspect some html elements for the layout, and this will help alot to modify the stylesheet of your blog. 2. Web developer addon firefox. Once it is installed it will give you alots of options, including editing your site’s css before applying and save it online. I often use it to have colors for my blog’s styles and i can’t live without it! 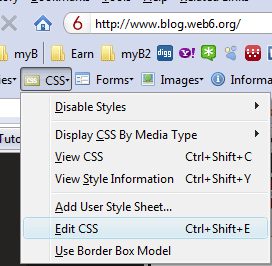 Some video tutorials how to edit wordpress css file. I have made some video tutorials how i edit wordpress css file, that may help you to do the same on your blog, remember installing wordpress offline is a good idea! 1. Adding about me in wordpress sidebar. 2. Styling wordpress active button. 3. Customizing feedburner subscribe me email box. 4. How to add logo in twenty ten theme. 5. How to add borderlines between wordpress posts. 6. 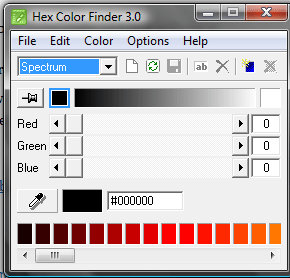 Editing twenty ten background’s menu color. Everyone can edit wordpress css file if they are willing to learn. I agree with you Kim, it is very easy to learn once you love what your doing, comprehension comes on easy way. Firebug is another great firefox addon for developers and it will help a lot. Easily, the article is actually topic on HTML I mean html tools related issue. CommentLuv plugin also a best tool for wordpress. Great tutorial for css it helps for css developers.